Woman Reading is a painting by the French artist Henri Matisse. He produced it in 1894, and it became his first real breakthrough with critics and the public: he exhibited it in 1896 at the Salon du Champ-de-Mars. The artwork, which is painted with oil on canvas, is owned by the Museum of Modern Art in Paris. The painting shows a calm and tranquil scene: a woman, shown with her back to the viewer, sits in a chair reading a book. Matisse wanted to emphasize the similarity between the type of room depicted and an artist’s studio like his own. To accomplish this, he gave the room strong hints of an artistic use, with several paintings hanging on the wall. 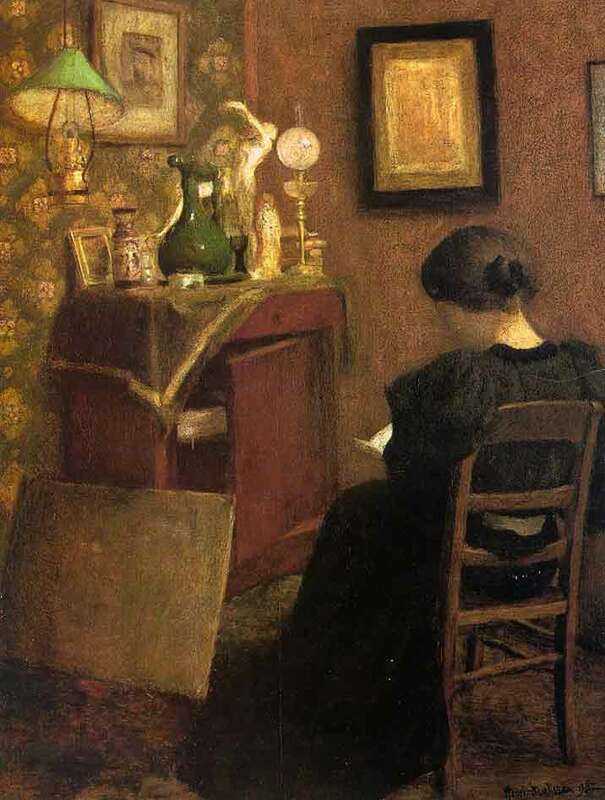 There is a strong sense that reading can transport a reader into another world: the woman’s room is rather untidy, but she is so engrossed in her book that she does not notice this.